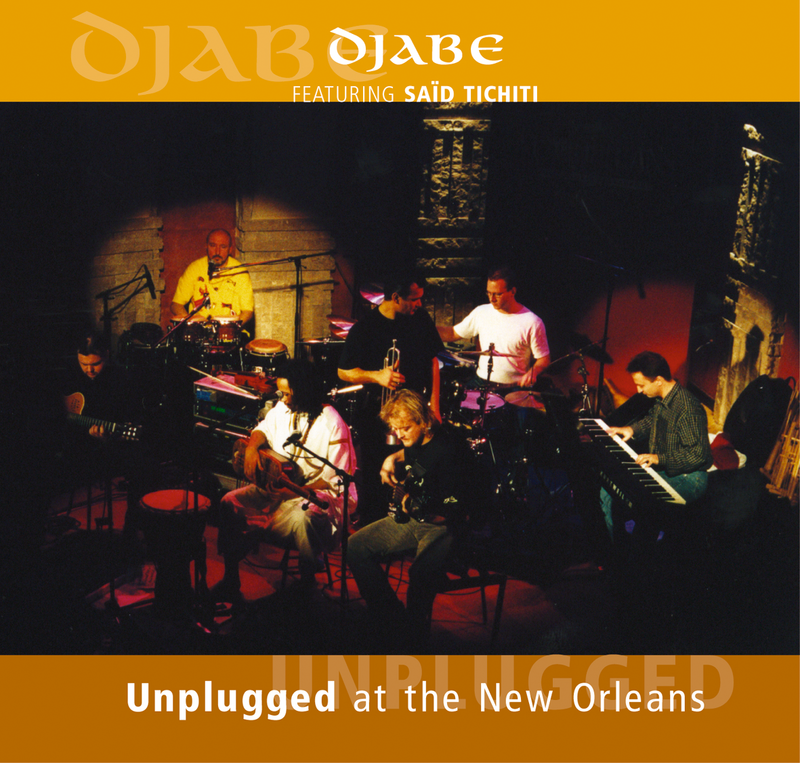 In 2002 Djabe gave concerts on various topics at the New Orleans Music Club in a way that on each night the program was totally different. Altogether the band played more then seven hours (!) of different tunes. On the last two nights unplugged concerts were held. Said Tichiti, the Moroccan musician who played on the Update album, joined the gig on the 19 of November. The tracks on the CD covers the full career of the band from the first record of Djabe released in 1996, to Sheafs are dancing, as well as new adaptations and music tunes which have not been played at concerts – lasting in total more than two hours. The first enhanced CD includes a 14 minutes video from the first performance of the six-member lime-up of Djabe, recorded in the Vasas Sportshall, Budapest in 2001. Besides the video a full band biography and discography can be found also on the enhanced CD. The visitors of the Unplugged concerts can recall the concerts with a photo album, which contains 50 pictures. This unplugged album is more word than jazz music again, and was nominated to the “Best Hungarian world music album of the year”.